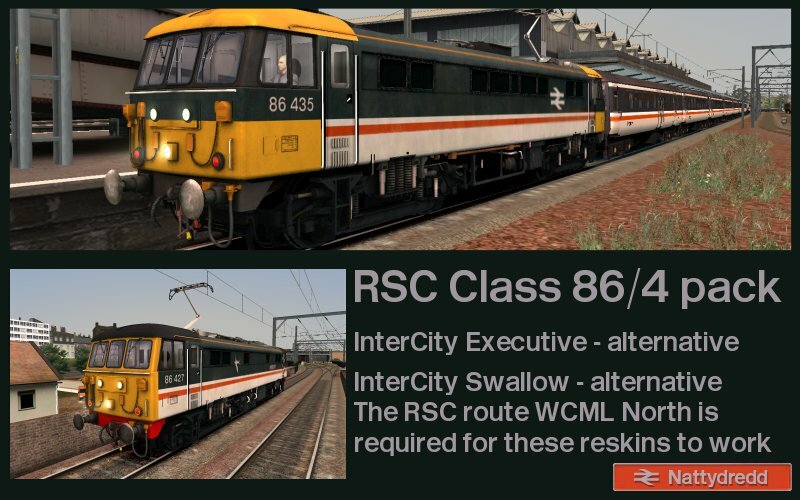 InterCity Swallow and Executive variants for the WCML north Class 86/4. Requires WCML North Route from Steam. Are these compatible with the AP Class 86 sound pack? Probably not, did these years ago. Moved them across from UKTS.